There are a lot of podcasts, or PAWDcasts as you might say in Pittsburghese, but none this focused on what’s happening in Pittsburgh. Co-hosts John Chamberlin and Craig Tumas talk with guests about food, entertainment, current events and, of course, Jagoffs! 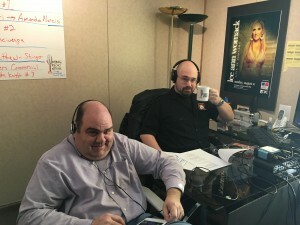 This weekly podcast is based on the Pittsburgh humor blog, YaJagoff.com. Go out Sunday night… not Saturday! Any juicy advice stories to share? Standard question: How did he get started as a Monster Truck driver? He built his first Monster Truck with his wife? How much horsepower does Stinger have compared to a standard 18-Wheeler? Can we use his truck at the Squirrel Hill Tunnel entrance to attack the Tunnel Monster? His pitch to come see him as a fellow Pennsylvanian! 34:48 John and Craig wrap-up. Where you can find the YaJagoff drink in Market Square. Go get one! 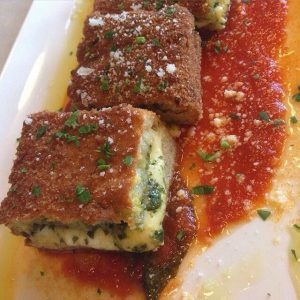 We stuffed our faces with unbelievable food and drinks from Il Pizzaiolo. Wood-fired pizza and hand shaved prosciutto are all part of their new brunch menu! We know that it’s uncool to give a thumbs-up sign, but, we were so excited we gave it 29 thumbs up! 38:35 John Knight final check-in. His situation gets worse. 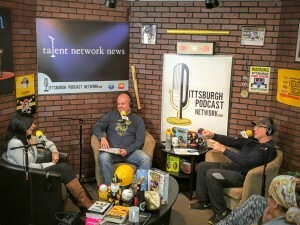 How to Listen Regularly: – All shows on the “Pittsburgh Podcast Network” are free and available to listen 24/7 On-Demand in your hand on smartphone and tablet and on your laptop and desktop. YaJagoff Podcast, Episode 31, Pokemon Go and You Gotta Regatta!